If the disciplinary procedure is a contractual procedure then to reinstate following an appeal, means the employee should preserve their continuity of employment and receive back pay for the period between dismissal and reinstatement (this was confirmed in Savage v J Sainsbury Ltd). 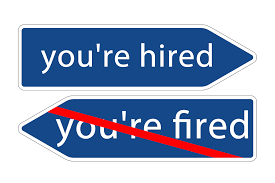 This is because the employee is treated as having been suspended during the period between dismissal and the decision to reinstate (as the dismissal vanishes). Where the disciplinary procedure is not contractual, the position is less clear on how the situation over pay for the period is treated, as there is no authority in case law regarding whether the period can be treated as a suspension without pay. However, his continuity is preserved. The legally safer approach would be to consider paying back pay but equally a commercial decision to treat it as suspension without pay could be taken. As present case law only addresses contractual disciplinary policies, there is strictly no right or wrong with non-contractual procedures. If you have employee queries, we can offer assistance with advice on a case by case basis, alternatively we have membership options to have the equivalent of an in-house legal team to support you. Contact Kirsty on Kirsty@swancraig.co.uk or call us on 01172 140132.